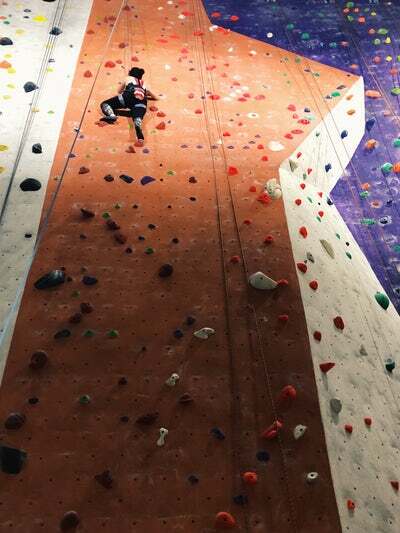 I took my son to a rock-climbing centre recently – one he’d already visited twice. This time I decided to join him on the ropes. I was nervous at first, while he was experienced and confident. It took me a while to get the hang of using the harness lock – and even longer to find the courage to scale the rock formations. But once I’d pushed through my fears a few times, it felt easier, more fun – and more fulfilling. I realised that even though my fear of heights kicked in as I rose higher and higher, I was safe and secure in the knowledge I was held by a belay, rope and anchor designed to gently catch my fall. It reminded me of how life often feels scary – but God is there as my anchor, holding me secure. And he’ll always catch my fall. Lord, sorry for the times I don’t trust you very well. Sorry for forgetting that you are with me, holding me, guiding me, giving me courage and strength at every turn. Thank you for always anchoring me in your love and grace, my ever-present, ever-faithful, and ever-attentive friend. Help me scale life’s cliff walls with courage and boldness, knowing you are always with me. Thank you that I can look forward to the day when you carry me over the mountain and safely home. Thank you, dear Ali, for reminding me how much I Can trust Him. Blessings and love! Thanks Debbie. It’s so great to know He holds us securely isn’t it!